Debut album Travel Light was released just weeks after that previous Cardiff show but the pair have been making music together for more than 10 years. 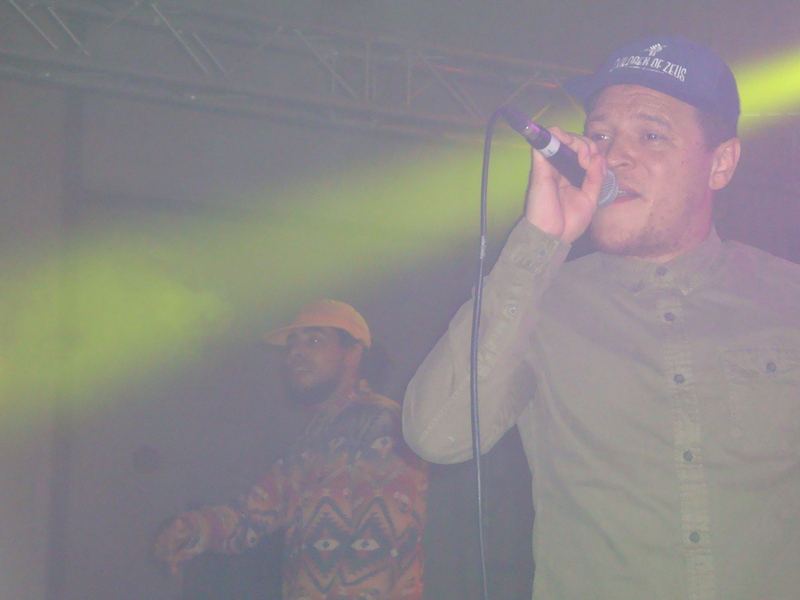 The 13 track ‘EP’ The Story So Far was essentially a ‘best of’ compilation from MC Konny Kon and the super soulful Tyler Daley before they had even officially released an LP. The June show was as part of the Festival of Voice at the Wales Millennium Centre. But this Thursday, December 6 gig was just a few hundred yards away at Portland House, a former banking hall on Bute Street. 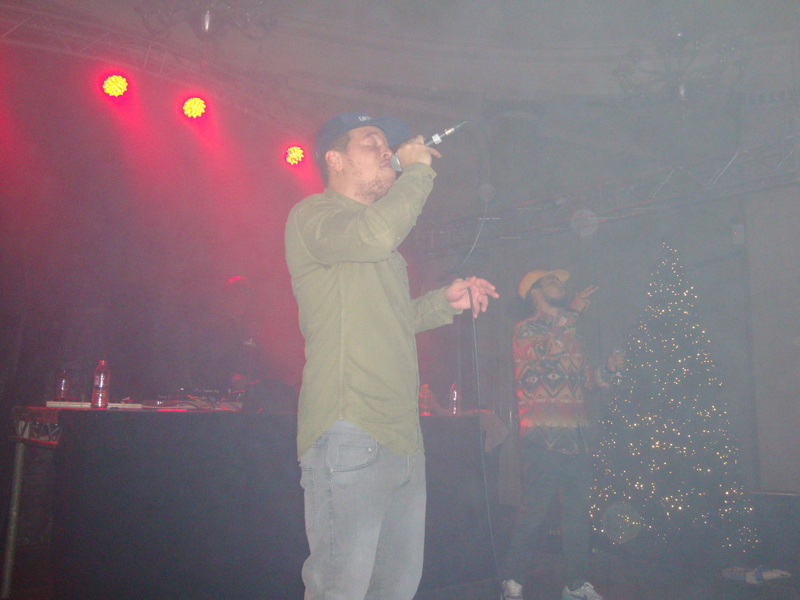 Their music, inspired by the best of 90s rnb and hip hop as well as the British soul scene, is from and for the streets but that’s not to say Daley’s deeply soulful voice and Kon’s verses aren’t deserving of a grand stage and they found it in the grade II listed building with large marble pillars in the classical style. The album title is a nod to their journey from the underground but Travel Light is a continuation of the sound the pair have crafted using classic soul cuts and this one hour five-minute performance contained longstanding favourites alongside tracks from the official debut LP. Perhaps their style was best summed up with how they followed Slow Down with Hoodman 2 Manhood, that included a nod to hip hop legend Biggie Smalls, and Daddy’s Car – their ode to the musical inspiration and knowledge gained from riding in their fathers’ cars. The song is another acknowledgement of their musical journey. Kon rapped “Don’t ask me why I love this journey more than we actually arrive,” suggesting the pair have always found pleasure on the road to the success they are now experiencing. The show finished with their take on the Sam Cooke classic A Change is Gonna Come. “I was born in Manchester on a cold summer’s day…”, pined Daley over the seminal dancehall Sleng Teng riddim demonstrating how crucial reggae is to their sound and British Black music in general. Children of Zeus describe their songs as “soul music for blunt heads” and if you were looking for an easy description for support act Esther and her band, consisting of drum, bass and keys, it would probably be, ‘music to smoke to’. The Cardiff singer’s floaty vocals drifted over the mostly down tempo tracks from her band who showed jazz and funk influences so it shouldn’t have come as a surprise when Esther revealed all their songs are produced by local hip hop beatminers Darkhouse Family. “It’s like our second ever gig as a band,” admitted Esther towards the end of their 20 minute set, which perhaps explained why they were the first act up. 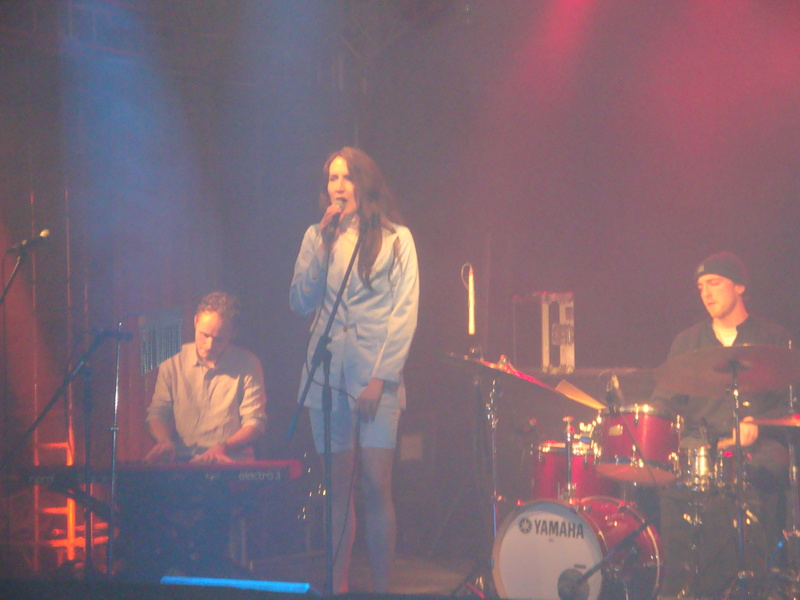 Esther and band had drawn a steady crowd and pulled attention towards the stage but that appeared lost in the hour and 10 minutes, which included a DJ set from Darkhouse, between them leaving and the headliners’ arrival. 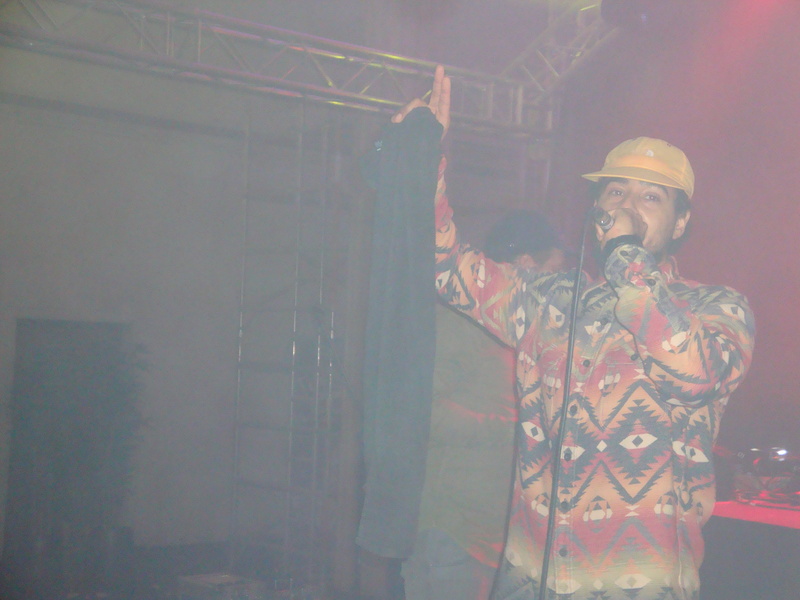 It was easy to hear the influence between Darkhouse and the songs produced for Esther (left) from their DJ set but the long break between live acts, five minutes more than Children of Zeus’ performance, meant the crowd’s focus appeared to stray from the stage. The producers appearing as an introduction to the artist appears to have much more potential. It would have also been good to have seen more people in the large hall, not just for the support acts, but the headliners. Portland House, which is only occasionally used as a live music venue, has a capacity for 800 and while there were probably more people present than could have been accommodated at many clubs in Cardiff there was plenty of room inside meaning lots lost their chance to see one of the best acts in Britain at the moment. Children of Zeus continue their travels in Australia and New Zealand in the new year but a third Cardiff show in 12 months would be a must see for me and I think everyone else present last Thursday. This entry was posted in Beats and tagged Butetown. Esther, Cardiff, Children of Zeus, Darkhouse Family, Hip Hop, Live music, Portland House, RnB, soul music. Bookmark the permalink.